On 25th of August 2016 the french fashion designer Sonia Rykiel passed away. This was a big loss to the world of fashion and it was just a matter of time before fashionistas all over the world paid tribute to her. Throughout her long career she inspired men and women of all ages to be bold, happy and vibrant. Her shows were always out of the ordinary with lots of unexpected and playful elements. If you’ve been a member on Stardoll for a while you may know of Sonia Rykiel from the tribute store which entered the StarPlaza in 2010. Two of the users who paid tribute to Rykiel are Fishbowlsoul and Kezzer97. Both put their own spin on the “Rykiel” style which naturally included her signature pops of bright colors. 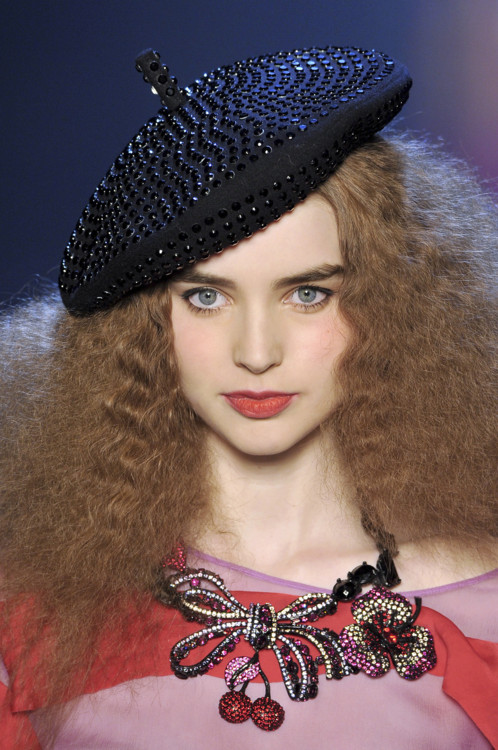 Capture model Vlada Roslyakova’s look from the Sonia Rykiel RTW 2009 show using the ‘Necklace’ from Sonia Rykiel Tribute, ‘Printed Sweater’ from Sonia Rykiel Tribute, ‘Hot Buys Studded Beret’ from Bonjour Bizou, ‘Black Platforms’ from Sonia Rykiel Tribute. Capture model Ali Michael’s look from the Sonia Rykiel RTW 2009 show using the ‘Multi Ruffle Sheer Dress’ from Sonia Rykiel Tribute, ‘Necklace’ from Sonia Rykiel Tribute, ‘Hot Buys Studded Beret’ from Bonjour Bizou, ‘Pink Platforms’ from Sonia Rykiel Tribute.